Ahead of the new season of 'Killing Eve, Sandra Oh and Jodie Corner attended the premiere event yesterday evening(April 1st) in North Hollywood, California. Sandra & Jodie also attended the after-party at Beauty & Essex Los Angeles. The ladies were seen smiling and thanking guests for their support throughout the night. Sandra Oh went the power suit route, wearing a GIORGIO ARMANI white crepe tuxedo pure silk jacket, with the matching trousers. Working a minimalist beauty look, she finished up with TAMARA MELLON sandals. 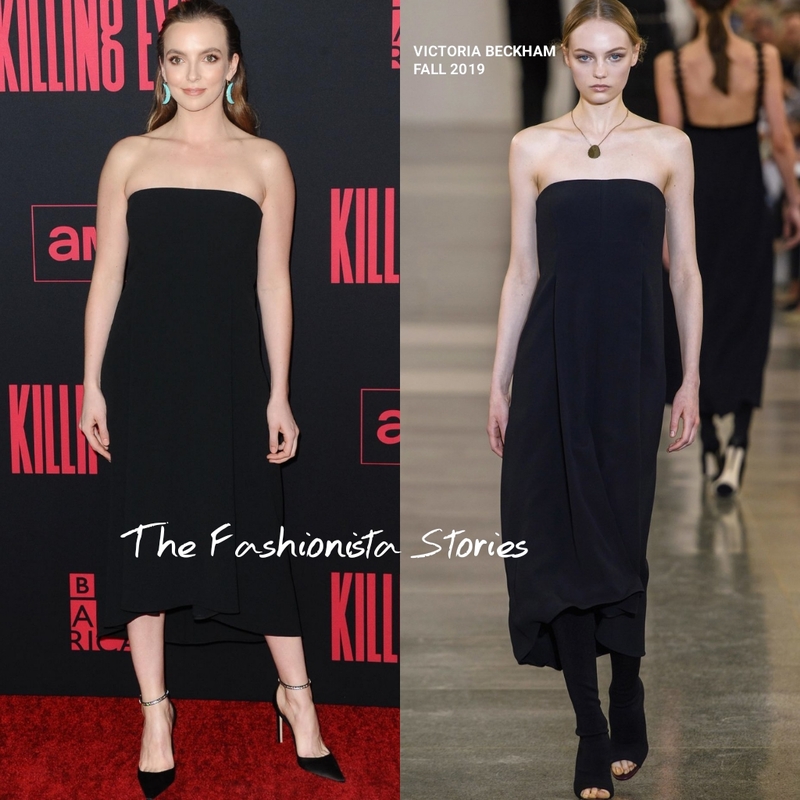 Jodie Corner stepped out in a VICTORIA BECKHAM FALL 2019 black strapless crepe, midi dress, featuring a cutout sequin trimmed panel back. From the front the dress is pretty boring, the back is where it gets interesting. However the turquoise earrings add a complimentary statement to her look but I wish she wore a necklace instead. JIMMY CHOO ankle strap pumps rounded out her look.